Capital Corporation has joined forces with Aoyuan International on its ground-breaking $280M mixed used project Esplanade Norwest. The project, designed by architectural firm Turner, launched to the market in late 2015, spearheading a transformation of Norwest from business park to vibrant urban centre. The first integrated development of its kind in Norwest, Esplanade includes a diverse mix of 252 apartments across two 19-storey towers, a host of resident-only features including an outdoor cinema and pool club, plus three levels of boutique workspaces, waterfront dining and retail areas set on a revitalised public boardwalk. Close to 210 apartments have sold since launch in early 2016. The project's 36 boutique commercial suites sold quickly, setting new price records for the area, and a three-bedroom penthouse sold for $3 million in 2017 eclipsing the competition by nearly $1 million. Ground level retail is envisaged to offer high-end café-style dining and talks are underway with a number of interested purchasers. 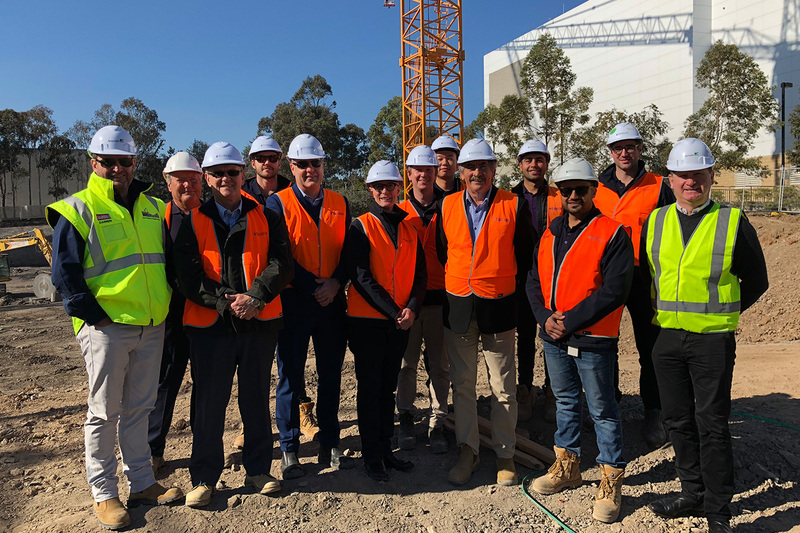 Capital Corporation Director Steve Grant said the time was right to welcome a new party to ensure the project continued its momentum, and was delighted to have Aoyuan on board. He said Norwest's transformation, quickly gathering pace with key infrastructure projects like the North West Rail link soon to complete, heralded an entirely new chapter for the business park. "Norwest has been the place of pioneers for the last 27 years and Esplanade Norwest flew the flag for the next stage. We're really proud of what we've already achieved here and the new lifestyle opportunity this project will deliver. "We were flattered when Aoyuan expressed interest in the project and quickly saw some great synergies between the businesses in terms of their approach and focus on creating high-quality, connected and engaging communities," he said. Mr Grant said the new arrangement had also freed up funds enabling Capital Corporation to take advantage of the current market and seek new projects, which may also include further work with Aoyuan. Aoyuan International has interests across Australia, Canada and Hong Kong, and has been on an active acquisition trail for the past 18 months, building a pipeline worth more than $2B of property with sites across Sydney, from Maroubra to the East, Gordon in the North, and Moss Vale in the South West. Aoyuan's Head of Development Adrian Liaw said the addition of Esplanade Norwest to their growing portfolio confirmed the company's long-term commitment to the Australian market. "We have been looking at portfolio opportunities for some time to complement our current projects and Capital Corporation's enviable portfolio fits well with our plans. We could not be more delighted to start this long-term relationship through our involvement with Esplanade Norwest," he said. The inclusion of Esplanade Norwest in its books gives Aoyuan a foothold in the booming Hills District, and also marks the first project they've introduced syndicate investors to their structure. Aoyuan is working with Sydney-based funds investment company Carson Capital Holdings (CCH) on the Esplanade Norwest deal. "This is the first time we are working syndicate investors. By opening up our future projects to syndicate investors, we will further enhance our ability to grow our footprint throughout Australia. "CCH Director Diana Liu, said: "The Esplanade project is a wonderful opportunity for CCH to partner with industry leaders like Aoyuan International and Capital Corporation." In Sydney, Aoyuan International's prestige projects include One30 Hyde Park, Mirabell at Turramurra and Maison 188 in Maroubra which are soon to complete; Altessa 888 at Gordon which has commenced construction; Adela soon to start construction in Burwood; and two land development projects, Coomeroo Estate in Bargo and a newly-acquired site for more than 1200 homes in Moss Vale.